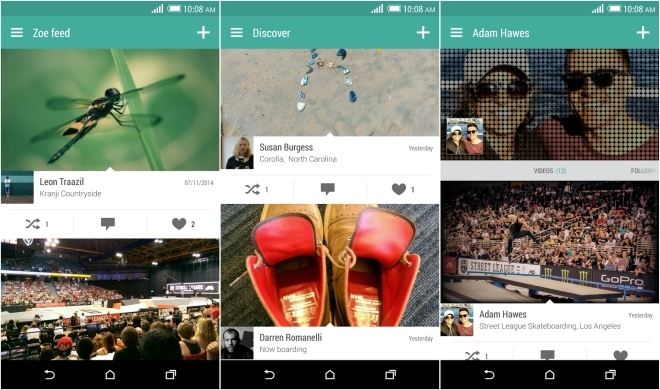 HTC has released its Zoe app for other Android devices. The app was available on the Play Store for a while now but could only be downloaded on HTC devices. This latest (beta) version, however, can be downloaded on select other non-HTC Android devices as well. Functionality-wise, I expect the app to work just like it does on HTC phones. I say ‘expect’ because it did not work for me. The app asks you to log in to use it, which is pretty annoying as it is. If you manage to get past that, you could use Google or Facebook login, but it did not work for me and the app kept telling me it was unable to connect to HTC’s server. If you manage to get it working, leave a feedback in the comments below. Or better yet, on the app page.